Meteorological specialists, Biral will be exhibiting at Traffex at the NEC Birmingham, showcasing a number of its new and popular products for road and transport sectors. 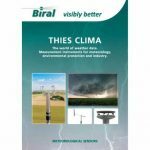 The company will be displaying a wide variety of meteorological equipment, amongst which, Biral will be showcasing its brand new RWS-20 Road Weather Sensor, and its range of Thies meteorological equipment. At the forefront of products to be exhibited is Biral’s RWS-20 visibility sensor which has been designed specifically for the harsh road-side environment. The design is based upon the proven and very successful SWS range of sensors, sharing many of its advanced technical features. The new design uses a compact forward scatter measurement principle and remains accurate in all weather conditions, ensuring local light sources, headlights or flashing signs do not impact its operation or reliability. Copies of Biral’s new Transport brochure will be available at Traffex along with a selection of Biral’s extensive range of comprehensive road sensors. The brochure illustrates the importance of meteorological sensors to improved safety where Biral sensors can be used in either single or multiple installation networks in many safety critical applications in transport projects such as major roads, bridges and tunnels. 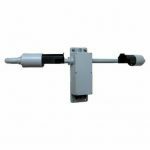 The Thies product range offers a wide choice of traditional cup and vane wind speed and direction transmitters to measure various ranges with accuracies and output signals that cover virtually all application requirements. These sensors are ideal for traffic control applications as well as many others. Also included is Thies’ 2D Ultrasonic Anemometer. As a leading designer and manufacturer of meteorological equipment and visibility and weather sensors, Biral will be exhibiting at Traffex where its team of experts will be available to discuss its road and transport products in more detail.